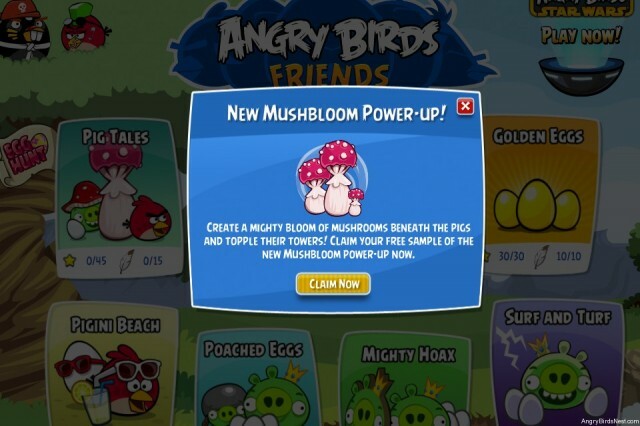 Angry Birds Friends Update Adds Pig Tales, Easter Egg Raffle, and New Power-Up! Good morning, Angry Birds enthusiasts! A very rare Wednesday update has landed, as Angry Birds Friends v1.11 is now available on Facebook! This update was teased by Rovio a few days ago, and we guessed it would be something Easter related. However, we will get to that lower down. Pig Tales, a brand new, never before seen, Facebook-exclusive episode with 15 levels. It looks like more levels will come in future updates, but the if and when is still not known. 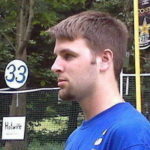 Walkthroughs are being produced as we speak, and will appear in our Facebook category when completed. New block type: Orbs! These are first seen in Level 1 of Pig Tales. Actually, they are seen in the cutscene before Level 1, if you want to be picky. When broken, the magical orb will cause nearby blocks to levitate for a few seconds, then fall back toward the ground. Sort of like the Pink bird in some respects. Easter Eggs are scattered all around the Pig Tales episode. Hundreds of Eggs! The Angry Birds are going crazy with overwhelming excitement, and it’s your job to catch…. well, a lot of them. Open any level of Pig Tales and you will see a few Easter Eggs scattered around the level. To get credit for an Egg, you must break it and pass the level. 20 Eggs per day from 27 March through 10 April = 280 Eggs max! 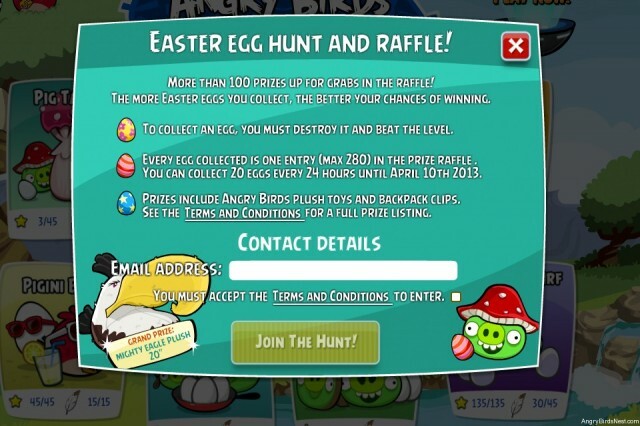 Each Egg collected is 1 entry into Rovio’s raffle. There will be over 100 prizes available, including a grand prize: The 20-inch Mighty Eagle plush! To obtain Easter Eggs, play Pig Tales! Walkthroughs for all Facebook levels are available. Try competing on our Facebook leaderboard! Scores obtained using Power Ups are permitted, but be sure to explain your scores on appropriate walkthrough pages! Can’t get enough Angry Birds on Facebook? Check out Angry Birds Star Wars! Nav: Home »News » Angry Birds News & Updates » Angry Birds Friends Update Adds Pig Tales, Easter Egg Raffle, and New Power-Up! It appears to be (according to T&C). The only restriction (that I see) is 13+ years of age. Already 3 starred and feathered? Congrats! Everything gold crowned as well? Okay, I also got it! I’m really happy to see new levels and have an interesting new power-up. It would be really nice if Rovio also explained other prizes. They do. See the Terms & Conditions. All prizes are listed. Note that in the ending cutscene it says: to be continued… Maybe more updates with more levels will come soon? Yes, that’s what “to be continued” means. That there will be more levels. But how soon, we don’t know. This is weird, I got 6 free Mushbloom. I’ll tweak the post. Thanks. Impossible. everyone will get the same. it is pre-defined by Rovio like those Wingman…. Not true Lamia. I only got one as well. It seems to be awarded randomly. Does the Orange bird make an appearance? Did you know that the stars from Green Day still count toward the total amount of stars? This is answered in the post. And simply restarting any level, even if you already defeated it, will spawn new Eggs. Except that the total should be out of 20 nop? It goes to 4/20 and then even after finishing all levels, on every level goes up to 5/20 6/20 or 7/20 then resets to 4/20. Maybe contacting Rovio would be a better course of action. I haven’t seen any issues. How come the eastere ggs collecst resets to 4/20 aftere very level, even when you collect 3 in a level. You have to beat the level. This update is very great & I like the new power-up. In the video (http://www.youtube.com/watch?v=GpXys_9uGIM&list=UUYC2wjLop-S6Ld4raeoUVNA&index=1) it says: limited time. Is that for the whole episode or only the egg hunt? Thank you, then I use my Mighty eagles on Pig Tales! It’s a good thing this Facebook update happened, at least now I’m not so bored anymore, but I’ll tell you something, I blew $20 on those Mushrooms and so far they’ve been a disappointment, not what I expected. May as well stick to the regular PU’s. I hope Rovio makes this a regular multi-episodic chapter as part of Seasons. Appears to be worldwide, especially since Rovio is based in Finland. Should Rovio add Pigini Beach to the iOS Angry Birds? I don’t think so. I would rather have original content. My opinion is: no. I don’t want to play the same levels again on iOS. I prefer new levels on iOS. @AMslimfordy Well, do you think this new episode Pig Tales will come to ABO as a new update in future ? I hope it won’t. But I have no information. I find Mushblooms to be utterly useless. Any word on if ABF App for Android &iOS will be fully in tune with Facebook progress? Will the contest end after April 10th, or will it end on that date? Your “tickets” into the raffle ends on the 10th. Have the eggs and egg counter disappeared for anyone else? I just went back to get my last round of twenty and they’re gone. I’m curious if they’re gone gone, or just momentarily gone due to a glitch. Yeah, it looks like they ended the promotion a day early. I believe the collection period has ended. Yes @birdpig .Pigini beach and pig tales. I have sent a mail to rovio about this 2 episode.